Heat a non-stick waffle iron until hot. Cut the macaroni into 8 pieces and loosen from the sheet pan with a spatula. Sprinkle 2 tablespoons of cheese in the waffle iron and place a piece of the macaroni mixture over it. Sprinkle with 2 more tablespoons of cheese and close the waffle iron. Cook until browned (about 5 minutes). 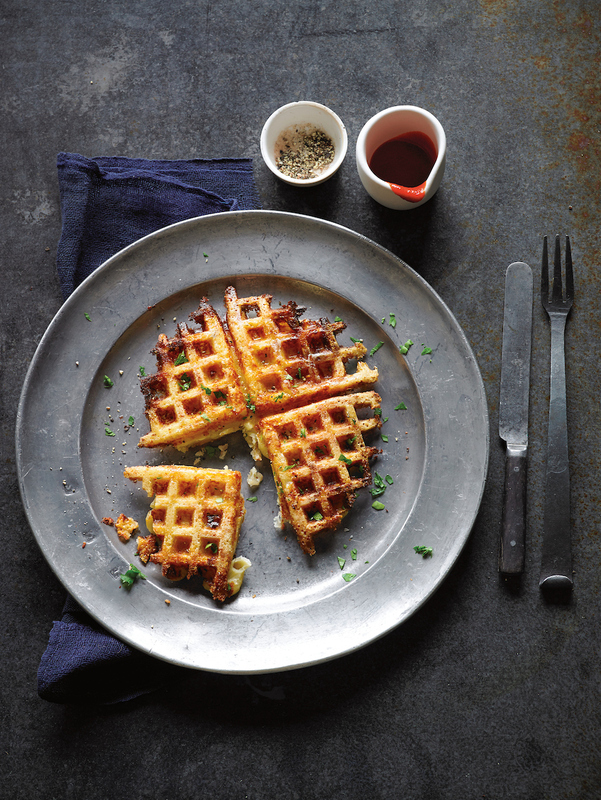 Open the waffle iron and peel the mac and cheese off the surface with a fork or paring knife. If macaroni sticks, turn off the waffle maker and let cool a minute or two. Repeat with remaining squares and serve with hot sauce.